Local residents have much respect for their traditions and culture. These are true friends who will support their close friends in any situation. Many travelers say that the locals are too expansive and gallant. They are very sociable and prone to making sudden decisions. Family is considered the highest value for the local people. They are ready for any sacrifice for the happiness and welfare of loved ones and their family. Local residents traditionally greet each other with a handshake, only close friends can embrace each other. Close people call each other by their first names, and co-workers or recent acquaintances should be treated solely by the family name or position. It is worth noting that couples here do not walk through the city holding their hands - it is simply not common here. Even legitimate spouses should not display their relationship on publicity. Italians actively use body language during communicating, and this habit is highly "contagious" for visitors. With time tourists start realizing that this way it’s really much easier to express own emotions. it is worth noting that you do not have to deal with local vendors in Italian only as many of them speak English fluently. Luxurious shops and boutiques can even have professional translators who help visitors to communicate with the shop’s staff in a simple and convenient manner. Numerous festivals, carnivals, national and regional holidays occupy the key place in the Italian culture. The most enchanting, spectacular and bright events are held in the heart of Italy - in Milan. If you happened to visit Milan in early December, do not hesitate and celebrate the Saint Ambrose Day together with local people and hundreds of tourists. This is a purely Milanese holiday when residents honor the patron of the city from December 7 to 11 at the Sforza Castle. Here you will also find the "Oh, Bej! Oh, Bej" Fair, where you can buy various souvenirs, sweets, and antiques. When Saint Ambrose celebration comes to an end, people begin to prepare for another important and so favorite holiday - Christmas. During this period, the city shines with illuminations, festive decorations, and feel the warm holiday atmosphere at every corner. Moreover, at the Duomo, you will find a magical Christmas market with hundreds of souvenirs, national dishes, and presents. Milan itself is the capital of Italian fashion and not surprisingly that here pass the most important and influential fashion events. Every year, Milan hosts the Salone del Mobile design festival, which is the largest furniture fair in the world. Here, art meets design and demonstrates the interiors of the future. There is even no need to speak about Milan Fashion Week, which becomes the central event during fashion season. Precious fabrics and impeccable cut, brilliant Italian femininity, and impeccable masculinity are the distinguishing features of every collection here. This event brings together thousands of fans from all over the world. If you can not afford to purchase the entry ticket to one of the shows - for such ordinary fans of fashion like you, in Milan, the MFW management installed giant plasma screens everywhere, which broadcast live catwalks. During the fall, the holiday calendar is most rich in events. 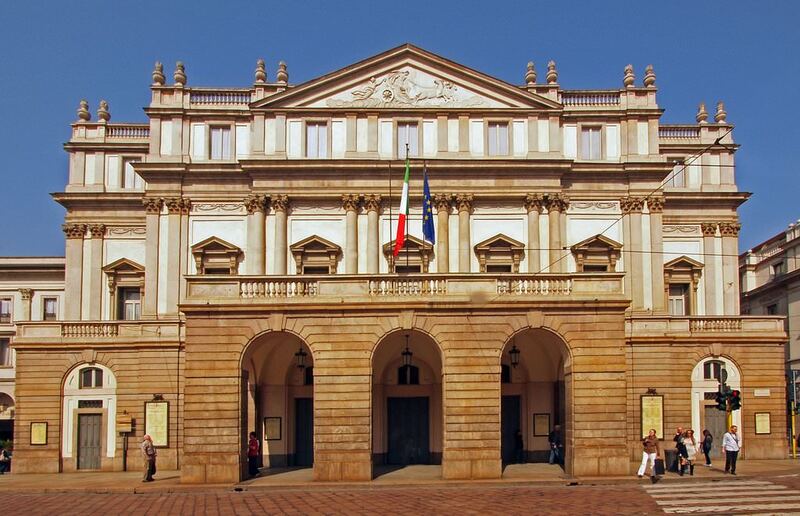 Simultaneously in two Italian cities, Milan and Turin, passes the international music festival MITO SettembreMusica. The festival opens on September 3 and visitors will enjoy numerous concerts till September 21. For almost two weeks, the sounds and melodies of classical, jazz and rock music will entertain you. Italians also celebrate the arrival of autumn with fanfare on September 22-25. Guests of Milan can easily get out for a day to Pavia, the venue of the event, to eat Italian cheeses, sausages, and wines and enjoy various exhibitions and sale of local products. Famous gourmets and food fans come to Milan in October to enjoy the annual festival of food and wine - Milano Golosa. If you happened to be in Milan during this time period - do not miss the chance to taste Italian delicacies and rare wines. Traditionally, this festival is held for two days. In November, all the fans of Italian cuisine will enjoy "all at once" during the Golosaria. This huge trade fair will accommodate the best products of Lombardy on 8000 square meters. Here you will find separate place occupied with local wines. If you desire to learn the secrets of Italian cuisine then join the open cooking lessons and lectures dedicated to healthy nutrition. Another event worth visiting is the international Milan exhibition EICMA dedicated to various two-wheeled mechanisms. If you can not imagine your life without motorcycle or bike - note that event is held in November. The exhibition management organizes the event on 50,000 square meters, where the motorbikes produced by Ducati, Aprilia, and Piaggio should serve as sufficient reason to acquire the ticket. This guide to traditions and festivals in Milan is protected by the copyright law. You can re-publish this content with mandatory attribution: direct and active hyperlink to www.orangesmile.com. Cityguide on traditions, mentality and lifestyle of people in Milan. Learn the best periods to visit Milan to discover its soul - authentic festivals, events and celebrations. We will also reveal the interesting habits, attitude towards the world and to tourists in Milan.